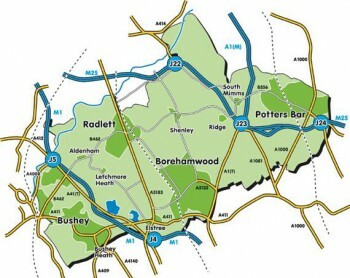 Hertsmere Connect is the Chamber of Commerce covering Borehamwood, Bushey, Elstree, Radlett, Shenley, Potters Bar and South Mimms in Hertsmere, Hertfordshire. Formed in September 2013, Hertsmere Connect is a partnership between Hertsmere Borough Council and Watford & West Herts Chamber of Commerce to attract, connect and support business in Hertsmere, Hertfordshire. We hope to improve prosperity for businesses in Hertsmere, Hertfordshire by creating a strong and proactive business network; encouraging relationships between businesses and by making Hertsmere a more business-friendly place to do business through a series of events and business support services. Hertsmere Connect is supported by a team of business professionals and has strong business links to local, regional, national and international organisations to help your business succeed. Hertsmere Connect is a partnership between Hertsmere Borough Council and Watford & West Herts Chamber of Commerce to attract, connect and support businesses in Hertsmere. Hertsmere is a Hertfordshire borough, an area covering 38 square miles and includes Radlett, Borehamwood, Elstree, Potters Bar, South Mimms, Shenley, Aldenham and Bushey. The Watford & West Herts Chamber of Commerce is registered in England & Wales (2055398) at Unit 47 Wenta Business Centre, Colne Way, Watford, Herts WD24 7NF. Want to make Hertsmere a better place to do business? Enter your email address to follow Hertsmere Connect and receive news and events information by email. Hertsmere Connect is a partnership between Hertsmere Borough Council and Watford & West Herts Chamber of Commerce to attract, connect and support businesses in Hertsmere.